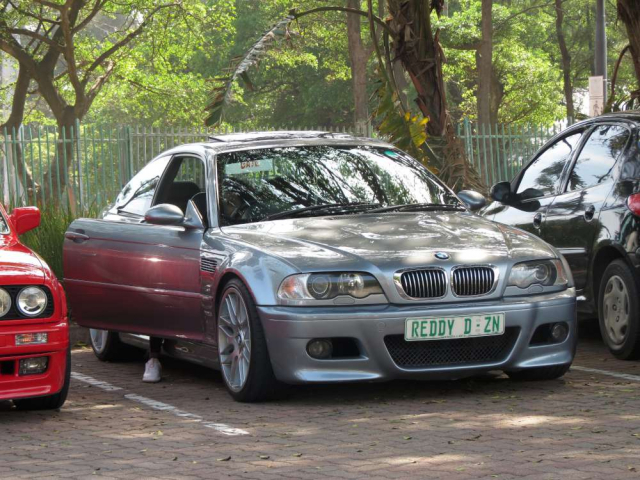 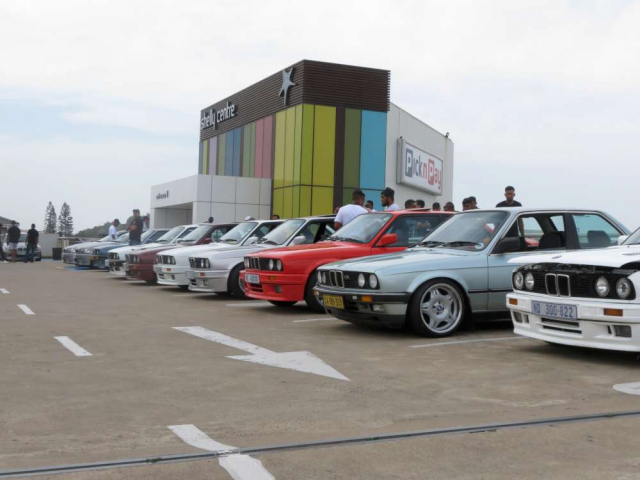 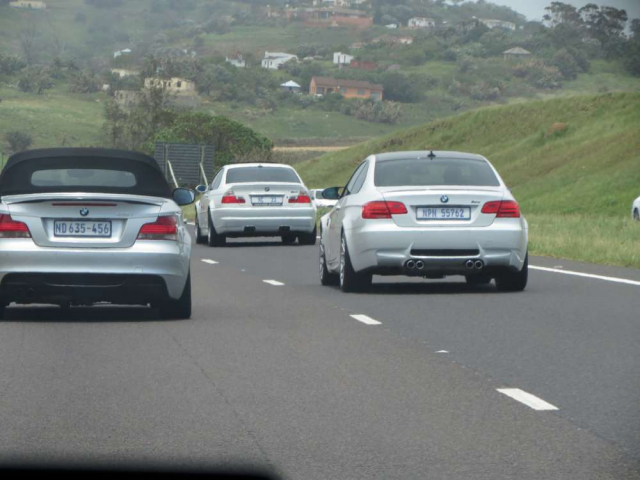 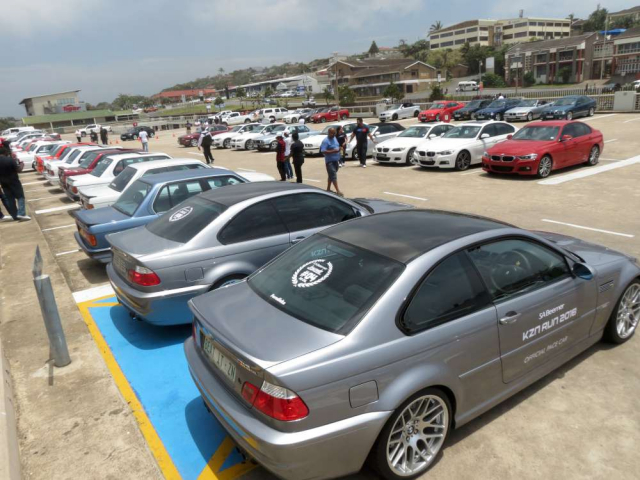 Our Annual #KZNBMWRUN was a lot of fun. 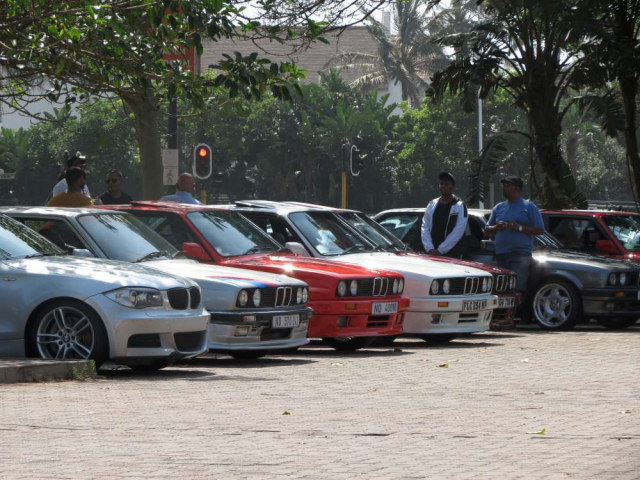 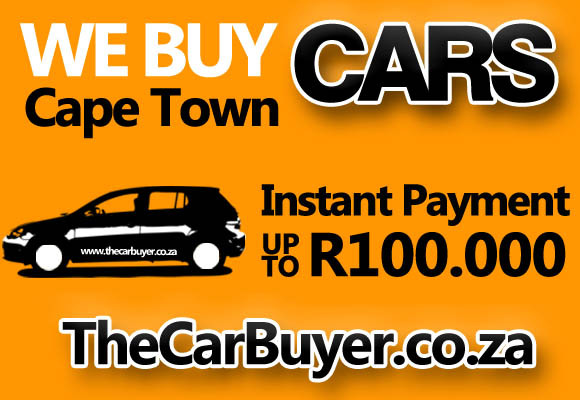 We started off at the Moses Mabhida Stadium parking area, and left just after 9am. 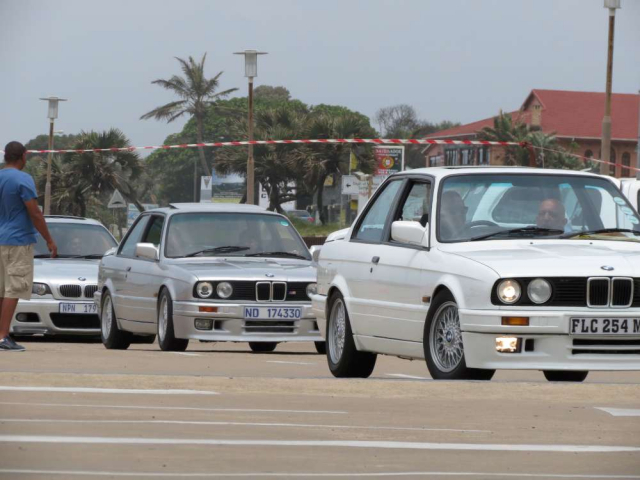 There was the usual spread of good cars from old to new. 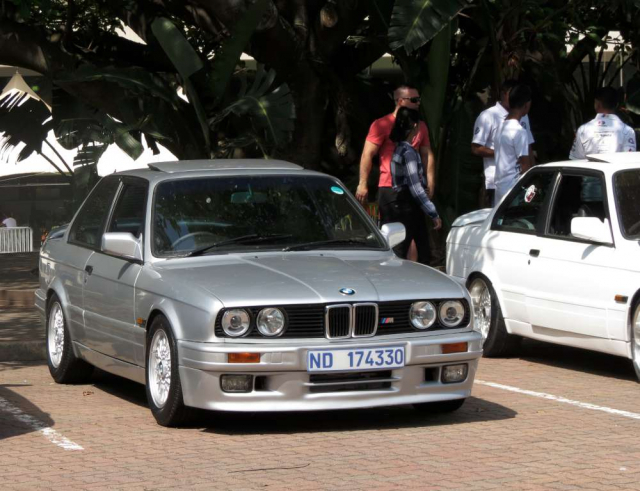 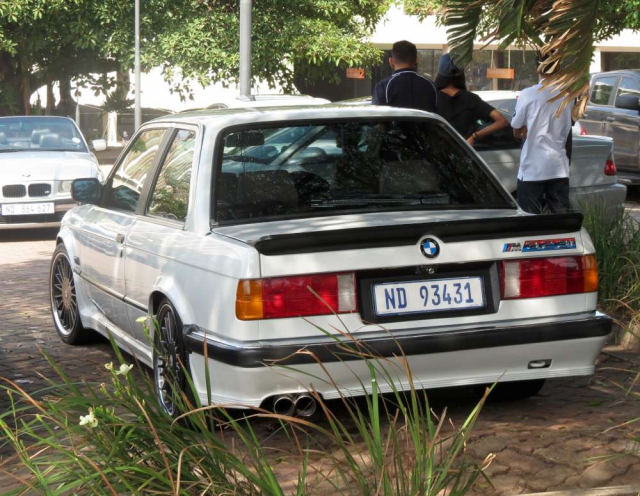 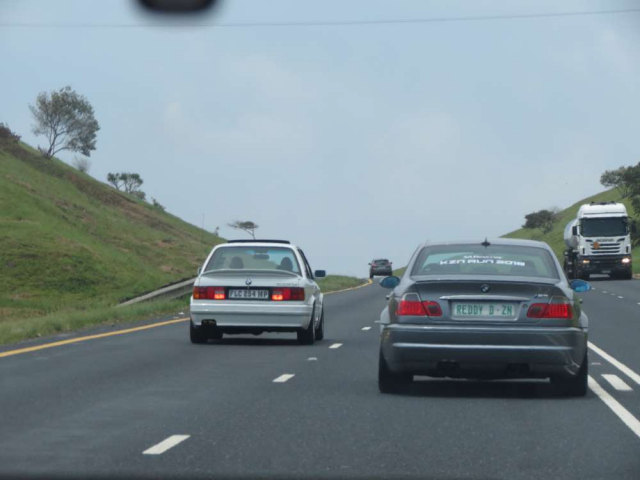 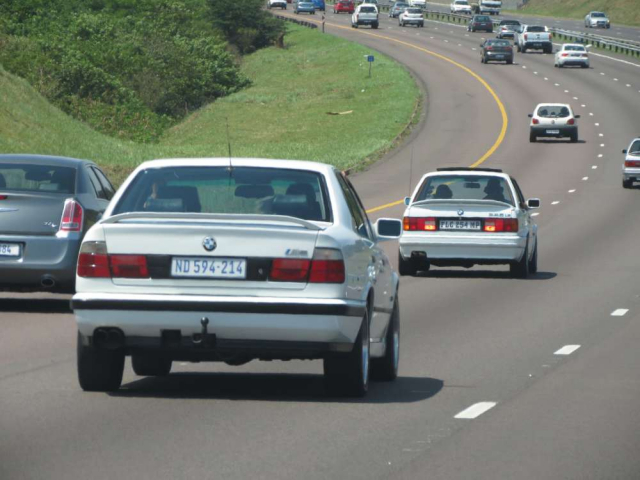 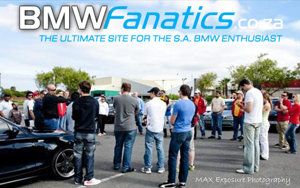 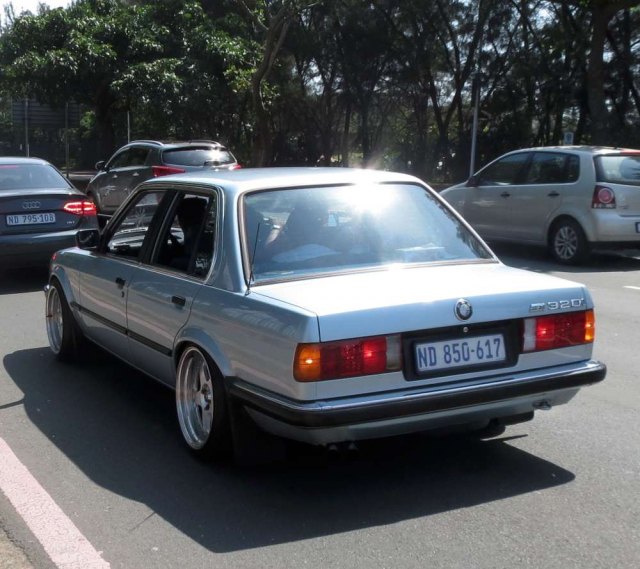 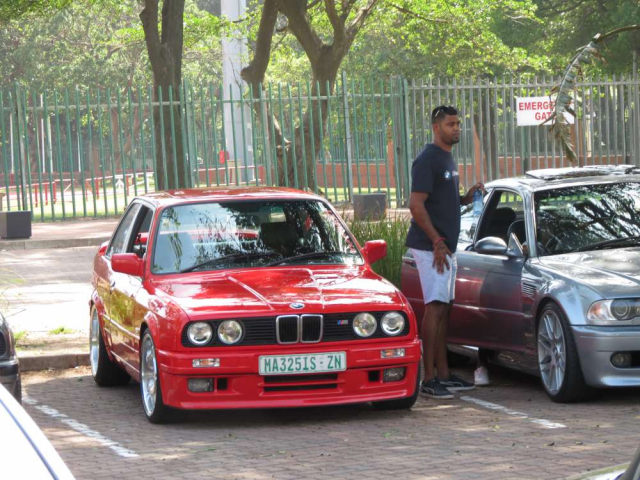 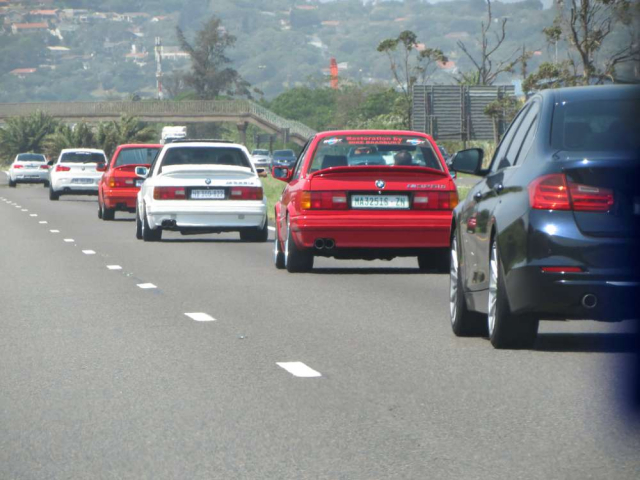 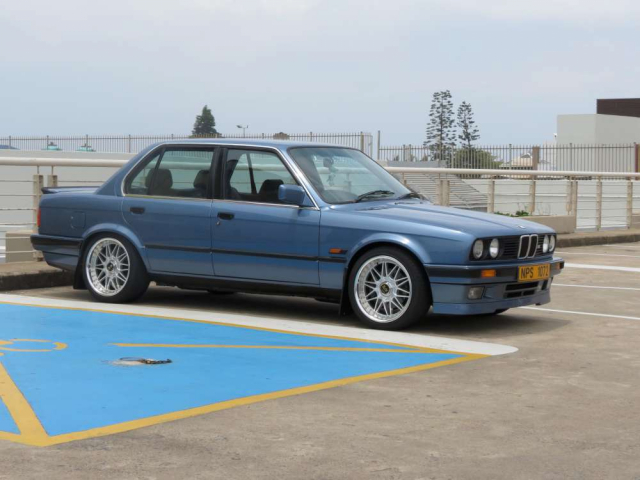 There were 2 immaculate 325 iS's that drove from Mpumalanga to be part of this run. 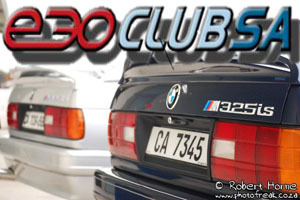 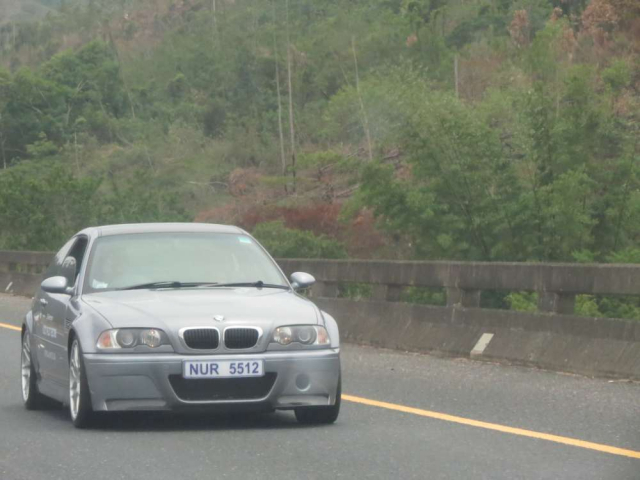 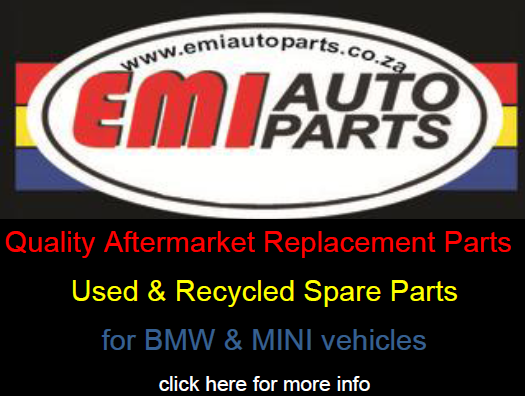 Our lead cars were in the form of 2 legendary E46M3CSLs driven by Andre & Essen. 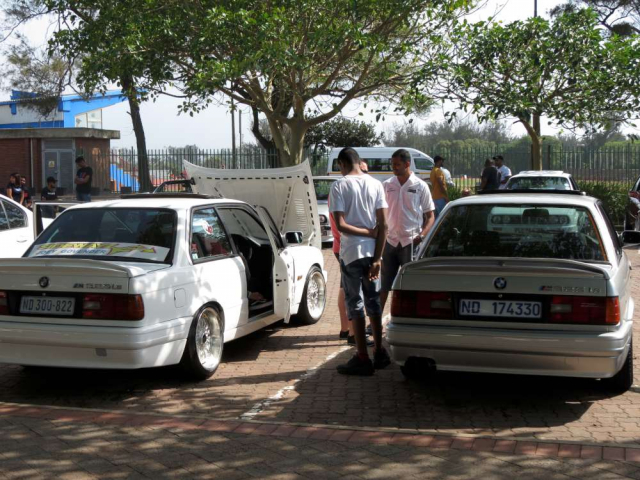 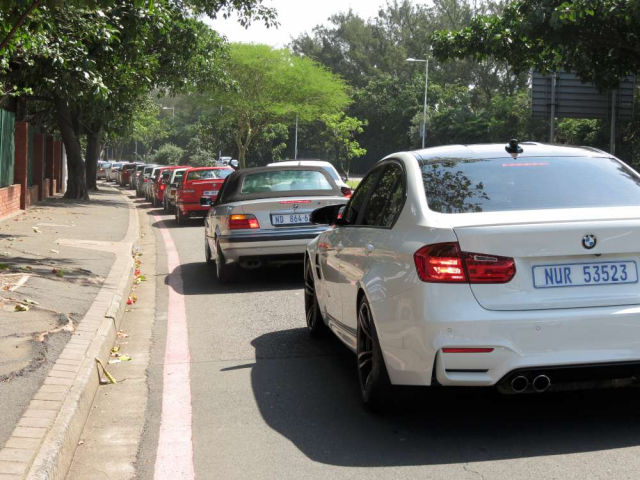 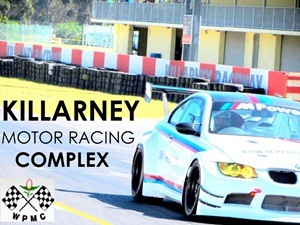 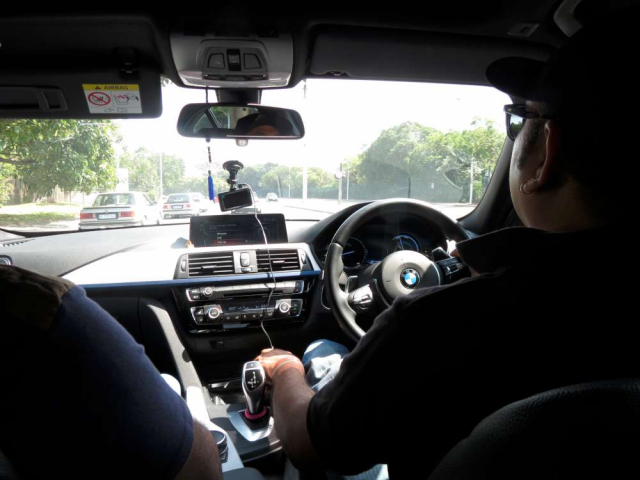 After everyone had pulled out of the stadium, i drove with Metesh in his F30 340i, who had come all the way from Kimberley for this run. 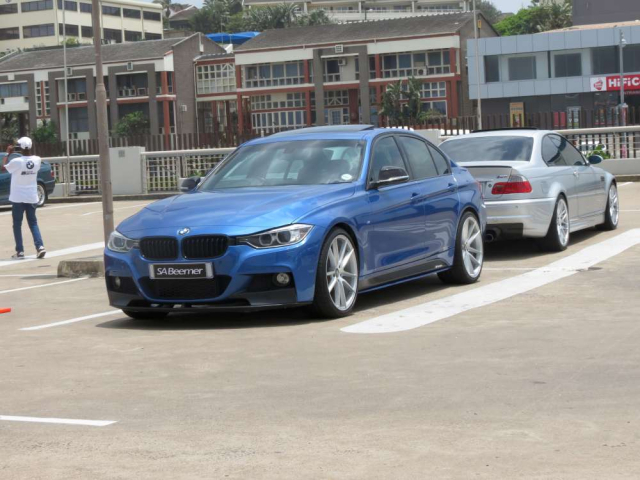 And boy was i surprised with the power of the F30 340i. 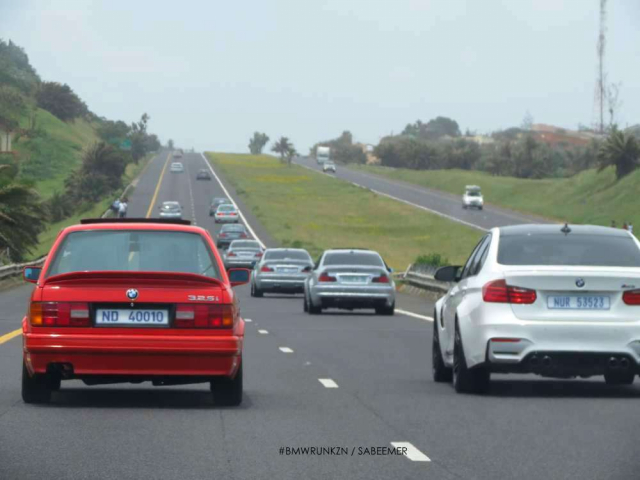 It didn’t take long for us to catch up to the pack as everyone got a bit spread out along the roads and traffic lights leading onto the N2 freeway. 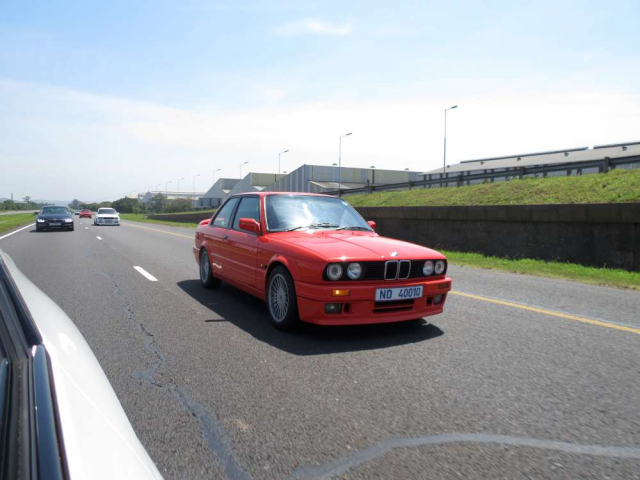 Doctor Ismail also joined us with his superb example of an E30 325i Shadowline in my favourite BMW colour - Henna Red. 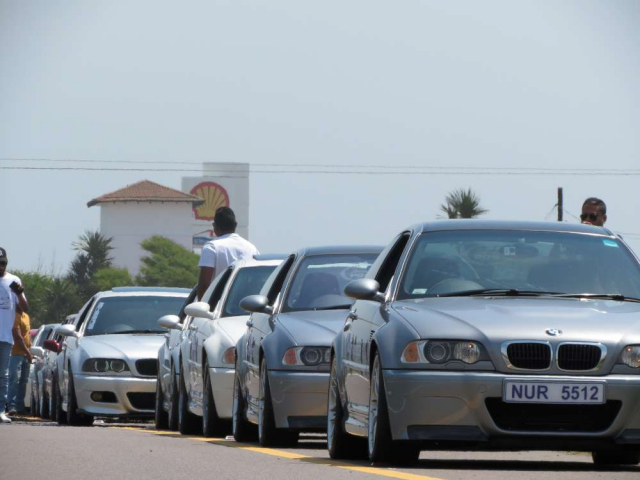 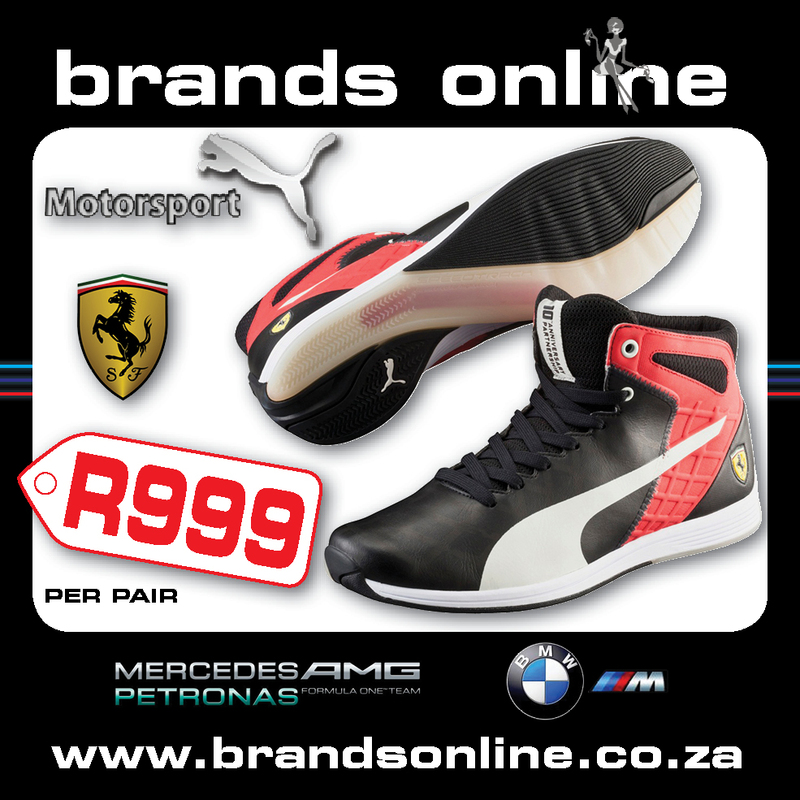 We then regrouped at the Shell Garage along the N2 and headed towards the coastal town of Port Shepstone. 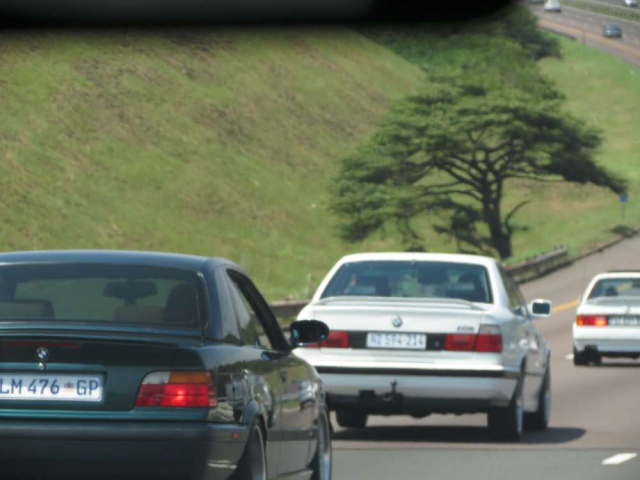 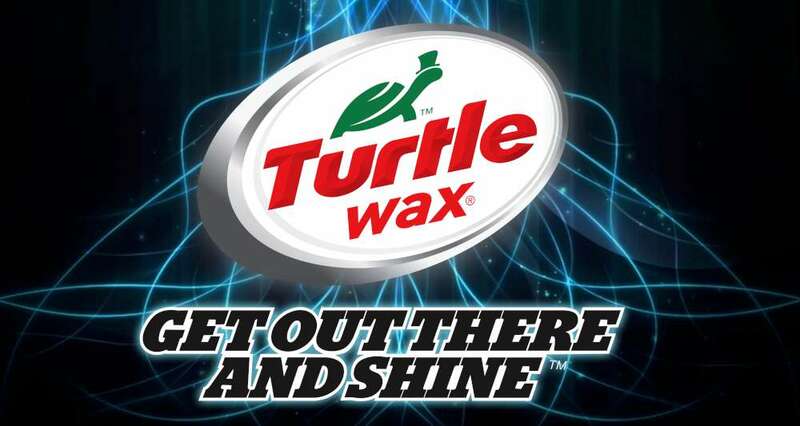 The road (N2South) to Port Shepstone – or Sheppie as the locals call it - is a long smooth stretch of tarmac on which you can really stretch the legs of any Beemer - or car for that matter. 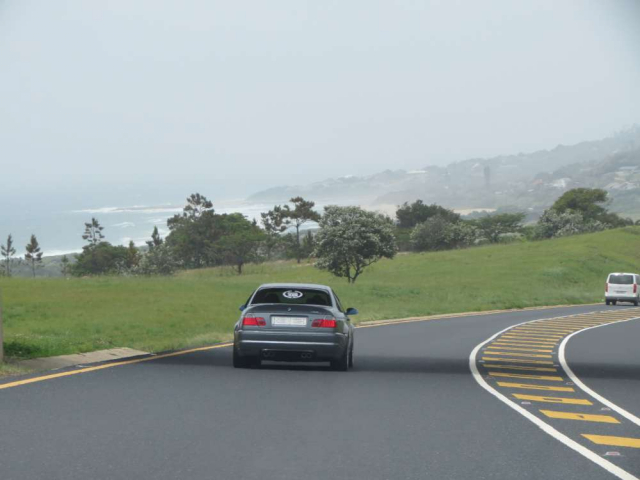 Its quite scenic too with the green hills as a backdrop and the Indian Ocean laying calm behind it. 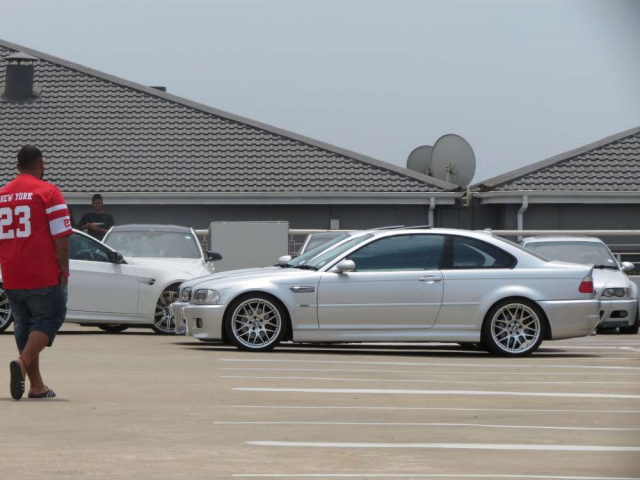 That 14 year old CSL still has the legs to play with these new cars. 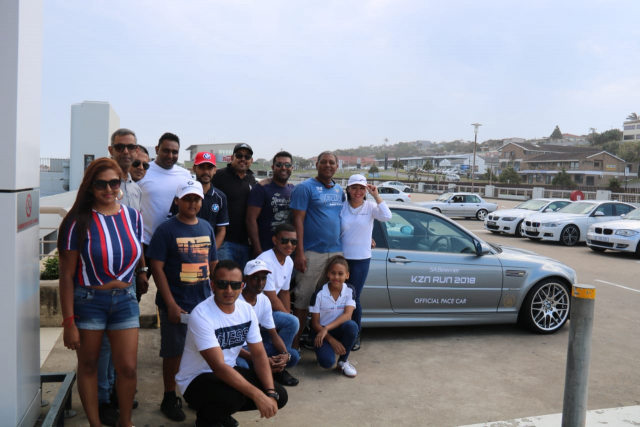 At Port Shepstone, we had our dear friends Audith and Andrew Pillay waiting with their family at the Shelly Centre where Audith had managed to secure us an allocated space to park all our vehicles. 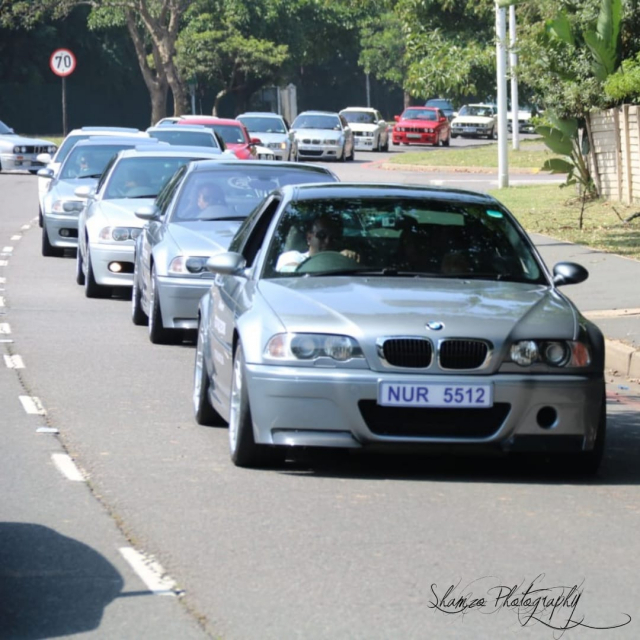 To sum it up, it was a quality day spent with quality people. 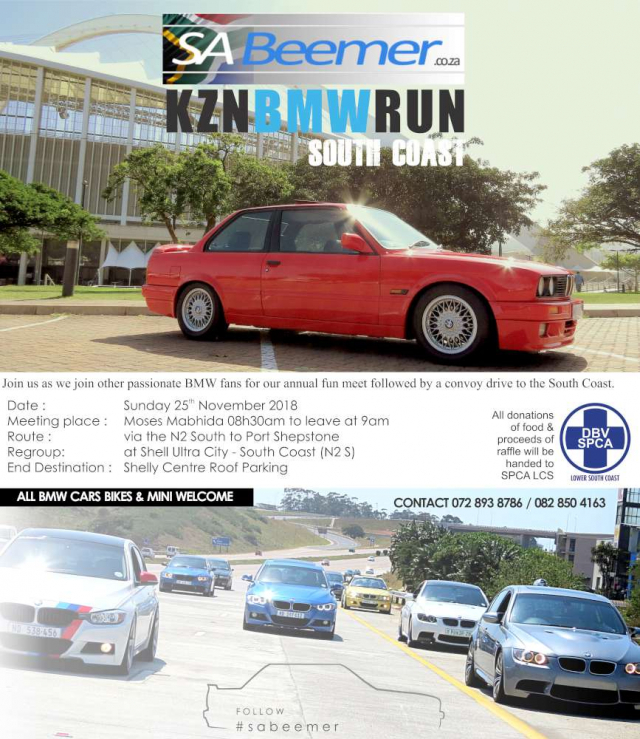 We look forward to next year’s run. 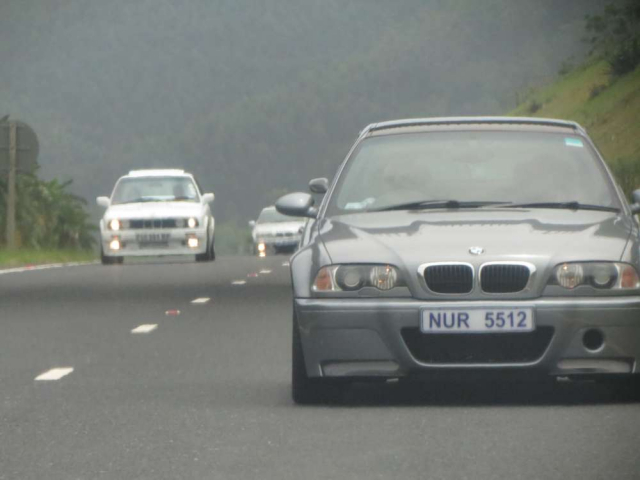 Below is a message from Uncle Faisel after he returned home to Mpumalanga that Sunday night. 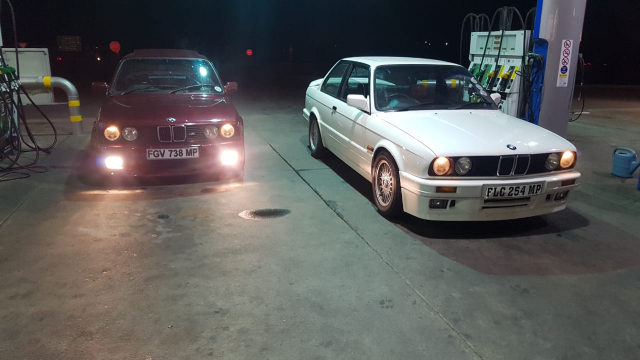 "Back where we left from - 1600kms in 2 days. 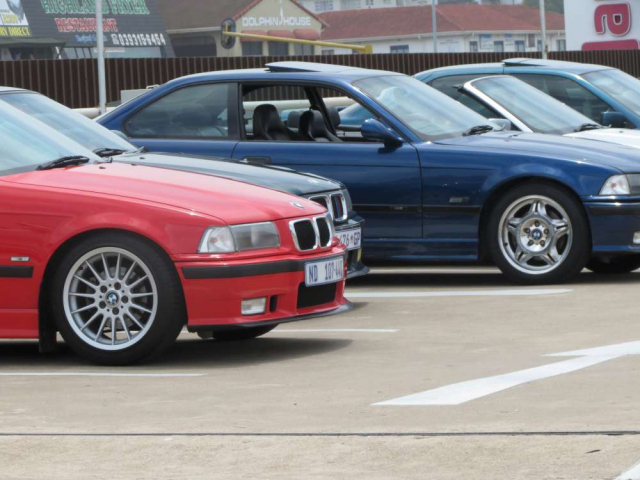 The most enjoyable weekend in many years. 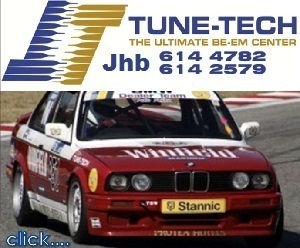 Great company, good food, great accomodation. 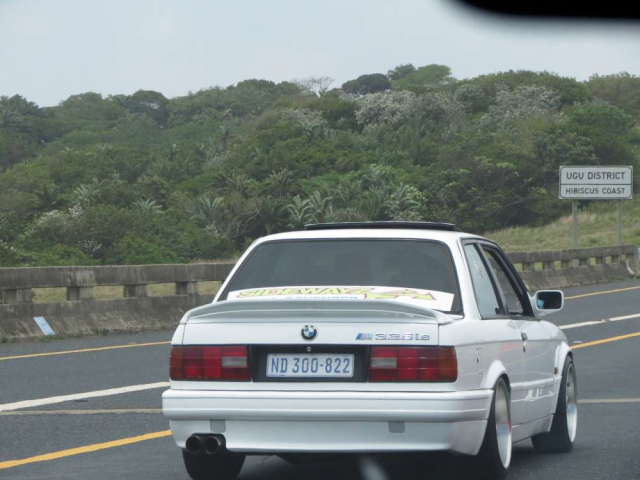 Thank you Durban Guys. 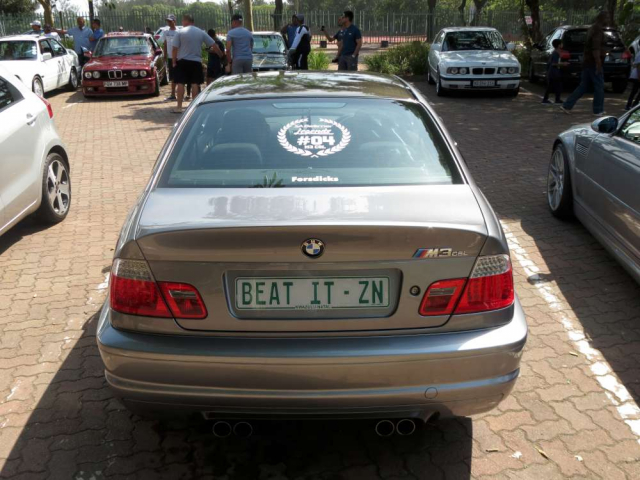 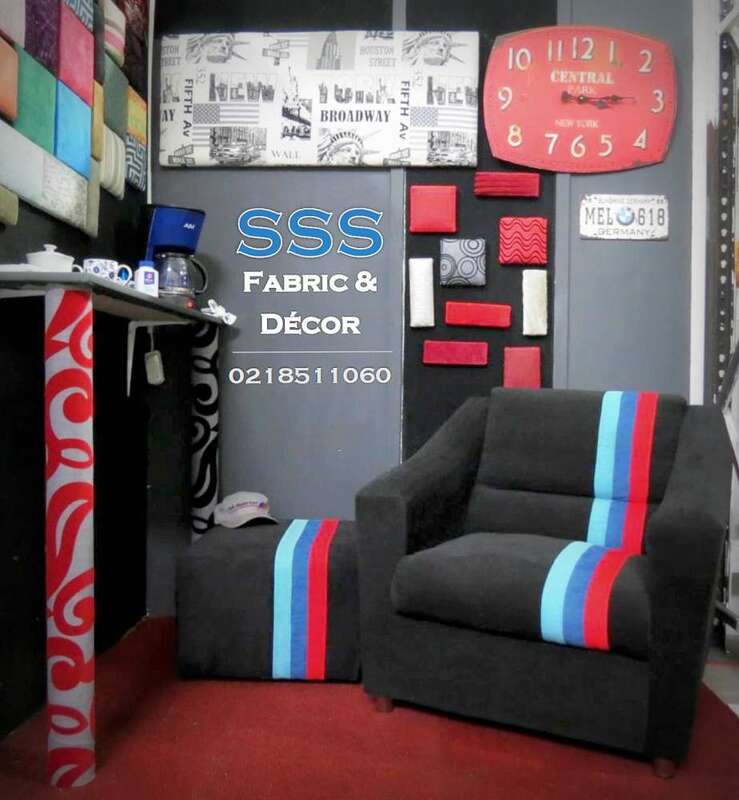 You rock!"